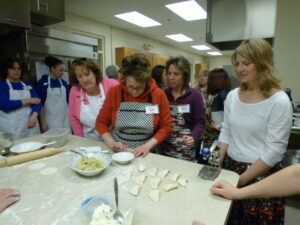 Dust off your aprons and get ready to make some pierogi. PACT is taking reservations for the next pierogi class that will be held on Saturday, October 17th in the kitchen of Olivet Lutheran Church’s Christian Life Center. The fee is $30 per guest/ $25 for returning guests who already have the equipment from the last class. The fee includes pierogi recipes, hands on instructions, all ingredients to make your own dough, a cookie cutter and dough press, fillings for the pierogi, and your own pierogi to take home. 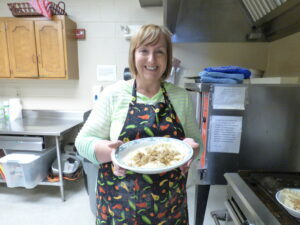 Call Sherry to reserve your spot in the kitchen. 419-476-1171 (home) or 419-260-1970 (cell). All are welcome. You do not have to be a PACT member to attend. Don’t forget your apron and rolling pin! Smacznego! Call early as space is limited.